HumanLifeMatters: IS JESUS THE ONLY WAY TO HEAVEN? James R. Edwards is a Presbyterian minister and Professor Emeritus of Theology at Whitworth University in Spokane, Washington. He wrote a book entitled, Is Jesus the Only Savior? (Eerdmans, 2005). Edwards’ answer was an emphatic Yes. It’s not the sort of answer to ingratiate him to the World Council of Churches, of which his denomination is a part. I wonder if the WCC gave him the proverbial cold shoulder? This sort of message is not generally welcome to our age of pseudo-pluralism where truth is relative and people want to hear about many paths to God. But if the testimony of Jesus, Peter and Timothy are to be believed, this is not true. The only way to God is through Jesus Christ. 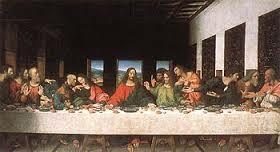 Should I believe those who espouse that all religions are basically the same and there are many paths to God, or should I believe Jesus, Saints Peter and Timothy. Hmmm, I wonder who it will be ? Truth is rarely fashionable—but it is knowable. 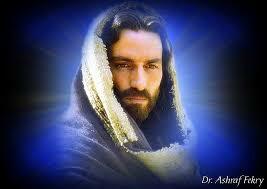 The truth is knowable because Jesus Christ is truth and the he is the saviour of the world, and we can can know Him. Many people in the 21st Century no longer accept that there is such a thing as truth, and certainly no such thing as absolute truth. To them, the only absolute truth is that there is no absolute truth—there’s no right and wrong, only opinions. All ethics are situational. (Actually, if there’s no such thing as right and wrong then the concept of ethics is meaningless.) Everybody is tolerant of everything; the only thing not to be tolerated is intolerance. People must rely on laws as the only recourse for moral direction. But even laws can be changed with a simple majority vote and a stroke of a legislative pen. 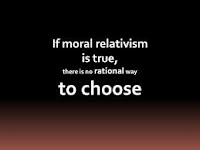 In a world of relativism, there is no higher Truth that exists apart from what legislatures declare and enforce. The final arbiter of truth is power. Change the government and what was right and true yesterday is usurped by a new set of standards and a different set of lawmakers. What was previously unthinkable can becomes the law of the land. Germany showed us that in the last century. Without a higher moral Law or standard for people to agree upon and follow (or an author and giver of that higher Law or standard), all that’s left is consensus of those who are most powerful and cunning. If there’s no lawgiver, no Messiah to save us from ourselves, then ultimately most people will find no meaning or purpose to life, no truth, life will have no intrinsic value. Society may have to hunt down and jail criminals like Paul Bernardo or John Wayne Gacy to protect itself. But if we seriously believe there is no such thing a right and wrong, no truth, then it’s pointless condemning what they did. After all, when they committed their sexual abductions, tortures and murders, their personal definition of truth may have been dominance and self-gratification. Somebody may interject to say, “They had no right to impose their views on others or kill those women!” Why not? If there is no right and wrong, then there’s no basis to make such a claim. That’s why I find 21st Century relativists suspect. 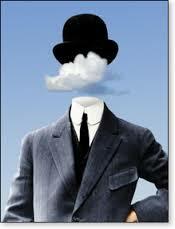 In one breath they maintain there is no objective right and wrong, no absolute Truth. In the next breath they’re decrying the destruction of the rain forests, or using animals in medical experimentation, or they’re marching in the streets against globalization. Methinks the relativist believes in objective truth more than he’s letting on and he expects the rest of us to agree (or at least acquiesce). Why? 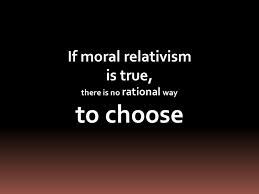 Well, according to the relativist, each person has his personal truth, his own standard of right and wrong, and he must not inflict his standards or morals on others. But that is exactly what relativists are doing when they march in the streets shouting and waving banners. Now, if there is such a thing as objective truth, where does it come from? Christianity says Jesus is the Truth. His crucifixion and Resurrection gave rise to a tidal wave of love and hope for millions of people for more than two thousand years. Each person must decide if Jesus is the only saviour of the world. Personally, I’ve concluded the answer is Yes. Christ has utterly changed my life for close to forty years.